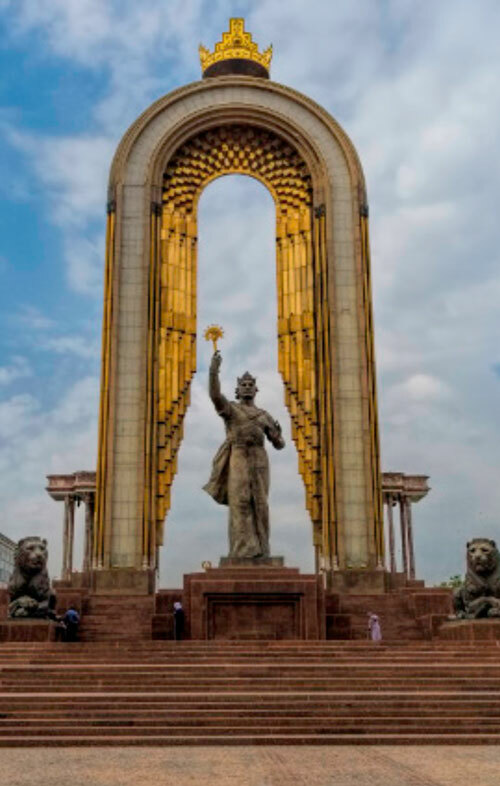 With a rural hinterland of grassy pastures and snow-capped mountains visible from down town, Dushanbe is a delightful city built around parks, lakes and fountains. Dushanbe is the political, economic, cultural and administrative centre – the capital of Tajikistan, modern and brimming with lush green vegetation. Dushanbe (until 1961 was called Stalinabad) is located in the centre of the Gissar valley at an altitude of more than 800 meters above the sea level. From the North and East it is surrounded by foothills, crowned with snow – white caps of the Gissar range. The Gissar range reaches from both sides of Varzob River (within the boundaries of the city called Dushanbe). There are some 120 glaciers in the upper part of the Varzob river basin creating a favourable microclimate in the mountain gorges and in outskirts of Dushanbe. The Varzob River generously grants drinking water and irrigates neighbouring orchards and fields. And the picturesque mountain gorge offers a place for recreation and a comfortable base where guests from all parts of the world come to explore and relax. Due to closeness of the mountains, the inhabitants of the capital can feel a light breeze and evening freshness in the hot periods of the summers. There is distinct continental climate in Dushanbe with arid and hot summers and humid cool winters. The most beautiful time of year is the warm and dry autumn – time for harvesting. Modern Dushanbe ironically is an ancient city with great historical heritage and at the same time it is rather young (it is 90 years old). The true age of Dushanbe is subject to scientific arguments as numerous discoveries of archaeologists, ethnographers and historians found buried treasures of Sasanid silver coins, wedge-shaped copper axes of the 2nd century B.C., skilfully made earrings from alloyed gold and silver, bronze and gold-plated detail of horse harness with relief image of a head of Greek god Dionysus), give evidence that almost 2500 years ago this place was inhabited by people who lived in a relatively highly developed culture of handicrafts and city buildings. Located in the Southern section of the Gissar-Alai Mountains. There are six cities in the Khatlon region – Kurgan Tube, Kulyab, Nurek, Dangara, Sarband and Pyanj and 21 districts: Baljuvan, Bokhtar, Vakhsh, Vose, Dangara, Jami, Jilikul, Kubadiyan, Kulyab, Kumsangir, Muminabad, Nurek, Pyanj, Rogun, Rumi, Sarband, Temurmalik, Farkhor, Mir Said Ali Hamadoni, Nosiri Khusrav, Khovaling, Khuroson, Shahritus, Shuroabad and Yavan. 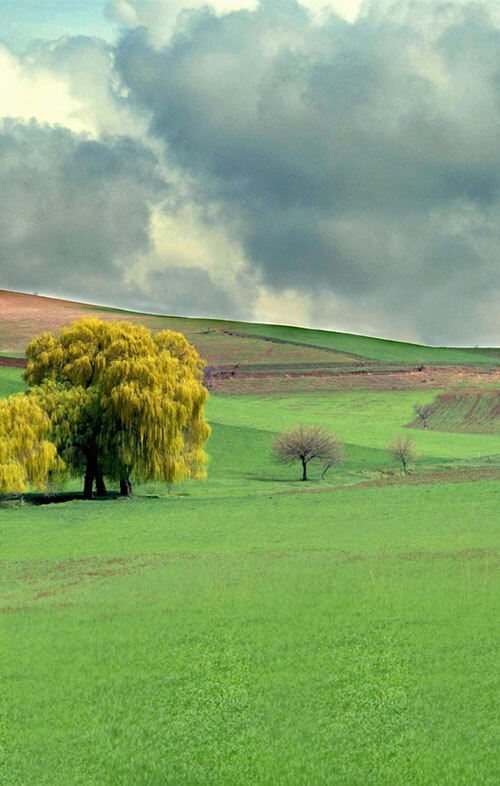 The climate in Khatlon region is continental and the main rivers are the Pyanj and Vakhsh as well as Muminabad, Selburs and other water reservoirs. Sughd is one of the administrative regions in the Republic of Tajikistan. It was established in October 27, 1939 as Leninabad region. On November 10, 2000 it was renamed as Soghd region. 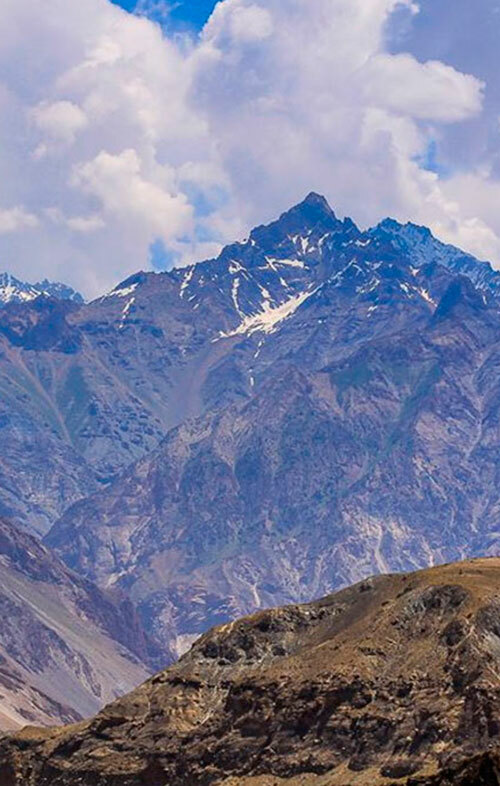 The region is located in the North of Tajikistan, in the mountain ranges of the Tien Shan and Gissar-Alai mountains, the Northern part is occupied by the Ferghana valley. The Soghd region is divided into 14 districts: Ayni, Asht, Bobojon-Gafurov, Ganji, Jabbar-Rasulov, Zafarabad, Isfara, Istravshan, Kanibadam, Kuhistoni-Mastchoh, Mastchoh, Penjikent, Spitamen and Shahristan. The administrative centre is Khujand. Cities in the Soghd region are Gafurov, Istaravshan, Isfara, Kairakum, Kanibadam, Penjikent, Taboshar, and Chkalovsk. 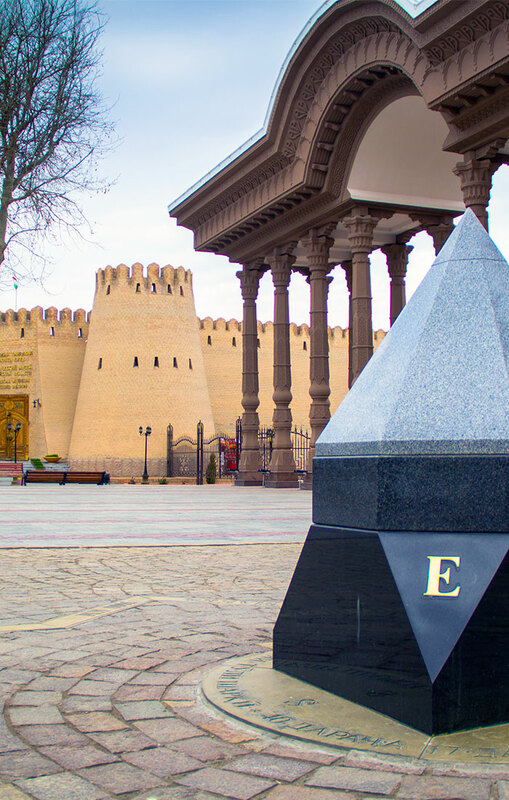 The climate in Khujand is continental And the main rivers are Sirdarya and Zeravshan. The biggest and most popular lake is Iskanderkul. Other water reservoirs include Kairakum, Farhad, Kattasai and Daganasai. The Mountanous Badakhshan Autonomous District or GBAO was established in January 1925 by the decree of the Central Executive Committee of the USSR. GBAO borders with Kyrgyzstan in the North, with China in the East, and with Afghanistan in the South-West. The area of the region is 64,200 square kilometers (or 44,5 % of the territory of Tajikistan). There are 7 districts, and one municipal centre – Khorog. Administratively GBAO is divided into: Khorog town, and districts of Darvaz, Vanj, Rushan, Shugnan, Roshtkala, Ishkashim and Murghab. RRS is a group of regions consisting of 13 districts in Central Tajikistan, stretching from the border with Uzbekistan in West to outskirts of the Pamirs (GBAO) in the East, along the Southern slopes of the Gissar range and further to the East along the border with Kyrgyzstan. The RRS consist of Varzob, Vakhdat (former Kofarnikhon), Gissar, Jirgatal, Nurobod (former Darband), Rasth (former Gharm), Rogun, Rudaki (former Leninskiy), Tavildara, Tojikobod, Tursunzade (former Regar), Faizabad.